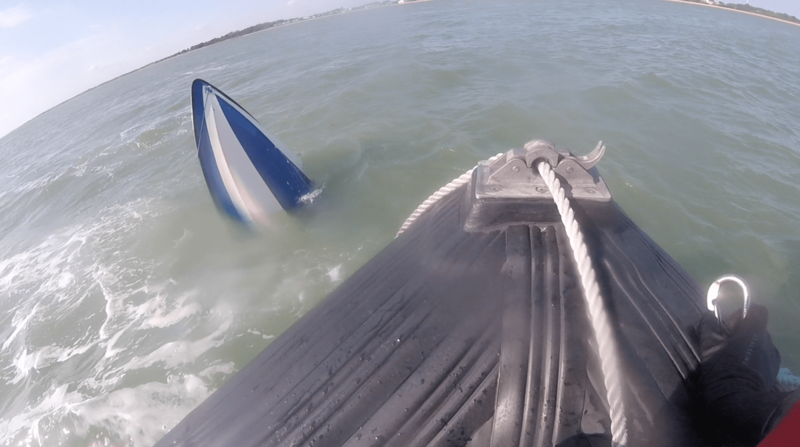 A quick-thinking pair of sailors plucked three people out of the water after their boat sank in The Solent on Saturday. 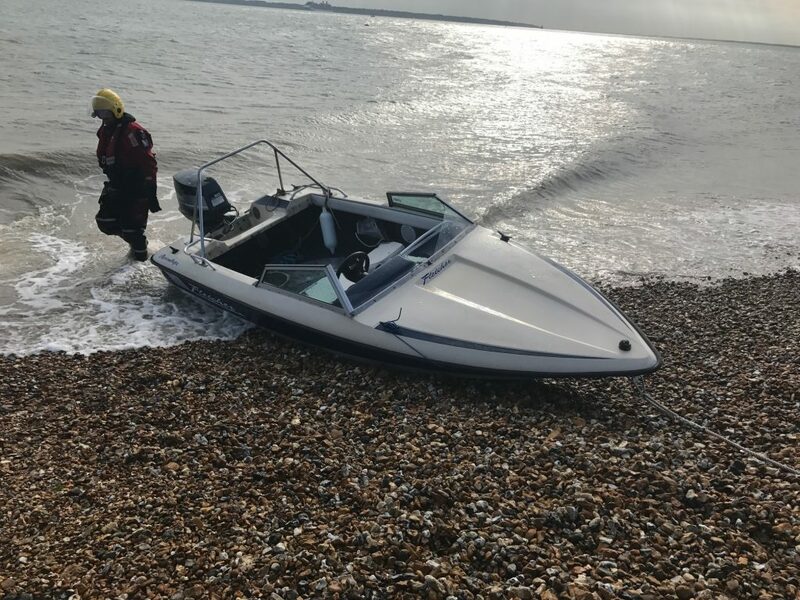 The duo from Stokes Bay Sailing Club were passing in their two-man dinghy when they spotted the speed boat sinking off Gilkicker, Stokes Bay. Gosport & Fareham Inshore Rescue Service (GAFIRS), who were on routine patrol in Portsmouth Harbour, were alerted to the emergency by its volunteers back at the lifeboat station who spotted the drama unfold at around 1400. The vessel had been overcome by the weather with a large wave smashing the windscreen and then swamping the boat, prompting it to sink. GAFIRS lifeboat was on the scene in minutes and found the three casualties from the sinking vessel had been plucked from the water and were perched in the small sailing craft. GAFIRS senior helm Brian Pack said: ‘The vessel had sunk so quick the casualties were not even able to raise the alarm – it was thanks to the quick actions of the two dinghy sailors before we arrived, who had realised the speed boat was in trouble, that these three people were pulled from the water. The casualties – two of whom were suffering from hypothermia – were transferred onto GAFIRS lifeboat and taken to shore. The lifeboat was beached and the three casualties taken into the lifeboat station where they were treated by ambulance crews. The lifeboat then picked out flotsam from the water which had drifted away from the sunken vessel before taking the boat under tow and back to shore. Earlier on Saturday, GAFIRS spotted a small sailing dinghy with two people on board in need of assistance. The pair’s craft had lost its rudder and was unable to make its way back to shore. 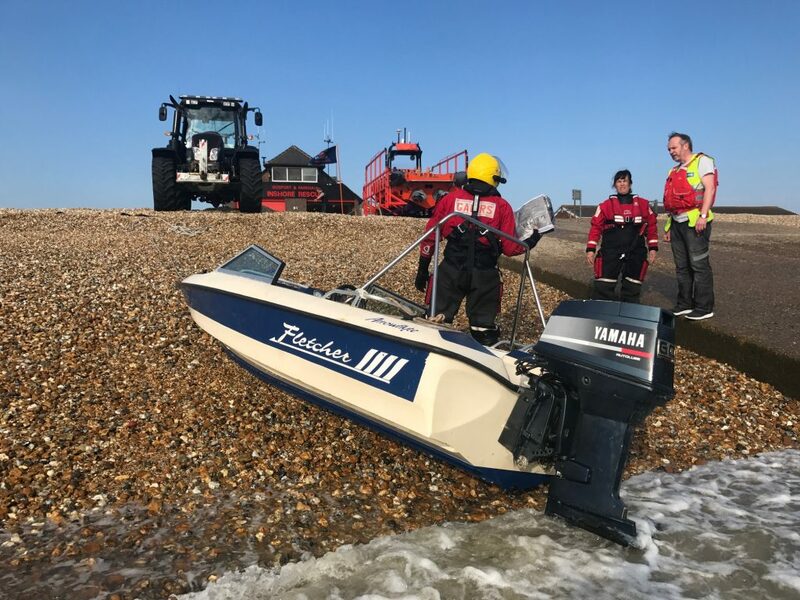 A GAFIRS crewman entered the water and assisted the pair with removing the rigging, before they were transferred onto the lifeboat and the vessel was towed back to shore. 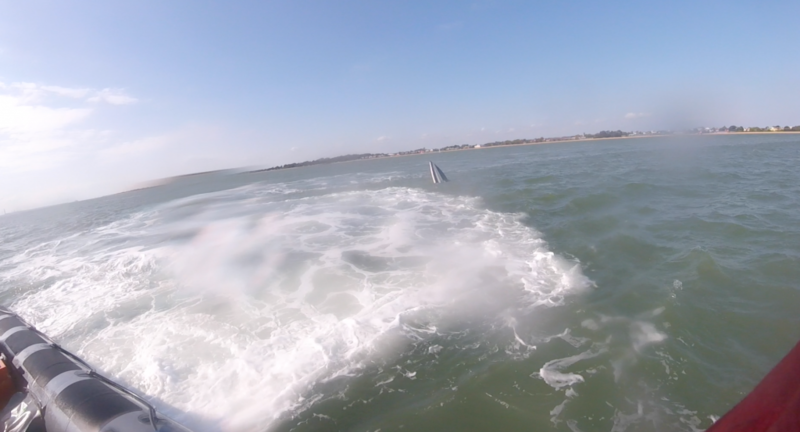 The incidents were the 26th and 27th of the year for GAFIRS, a local independent lifeboat service, based in Gosport. The service is completely independent of the RNLI and relies on public donations to keep it afloat.